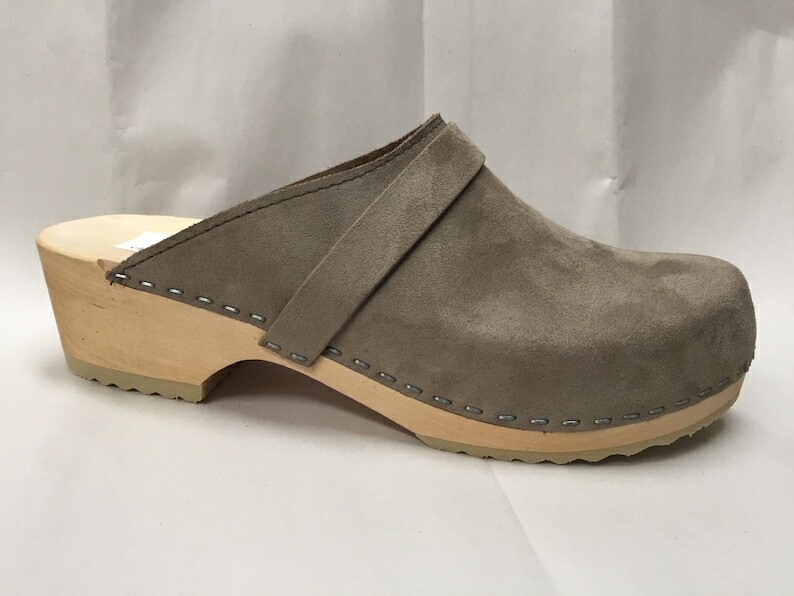 Our soft Grey “flocked”suede leather classic full clog. Made up on a Natural wood Low heel 1 3/4"-2”. Made here with a collar band and Finished with a fine tan stitching around the collar. So fresh and classy. *Please request at checkout if you prefer a brown sole. *Please request at check out if you do not want the additional collar band. Absolutely love my clogs! I wore them on the plane to Rome and even around Rome on the cobblestone streets. They fit me perfectly! I Love the look of the clogs! I can't wait to wear them. Comfortable too!